The Amish community is widespread throughout Branch County. Amish bakeries, woodworkers, basket weavers and more are located here. Buggies are often seen driving down the road or hitched in front of businesses throughout the area. 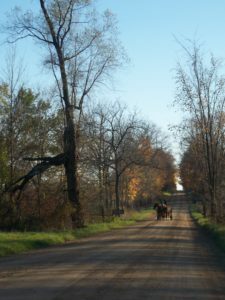 The Amish Meander: Click the links below for a map of Branch County Amish businesses or a listing of Branch & St. Joseph Counties Amish businesses.